VNV Nation is a European based alternative electronic project led by Ronan Harris in the roles of singer, songwriter and producer. 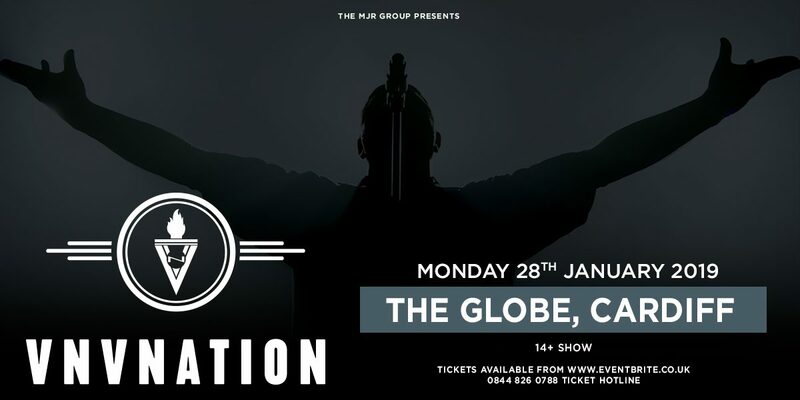 Never content with fitting in a category, VNV Nation’s sound blends poetic and thought provoking lyrics with a sound that ranges from melodic dance beats and indie-electronic anthems, to haunting ballads and post-classical soundtrack pieces. The live shows are legendary for their energy and positive emotion, drawing a devoted fanbase from across the musical spectrum to sold out tours and headline appearances at festivals in Europe and America. Over the course of the project’s career, VNV Nation has continued to reach new heights, with its last 3 albums charting top 10 in Germany, as well as top 5 Billboard Chart positions in the US.